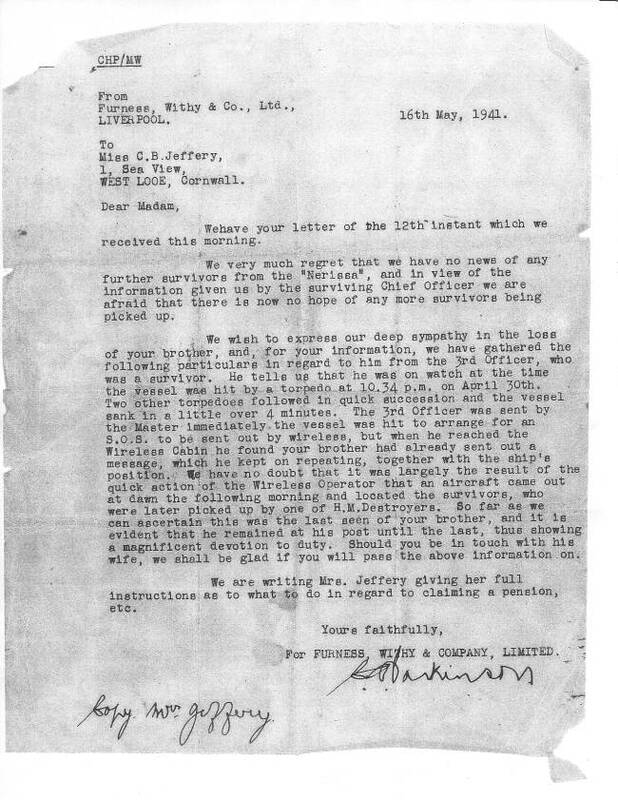 John Philip Bartlett Jeffery was the First Radio Officer on the SS Nerissa and was responsible for sending the S.O.S. and advising the ship's position immediately after the Nerissa was torpedoed. He remained at his post and was last seen by the 1st Officer sending distress messages, together with the 2nd and 3rd Radio Officers. All three gave their lives that night, in devotion to duty. 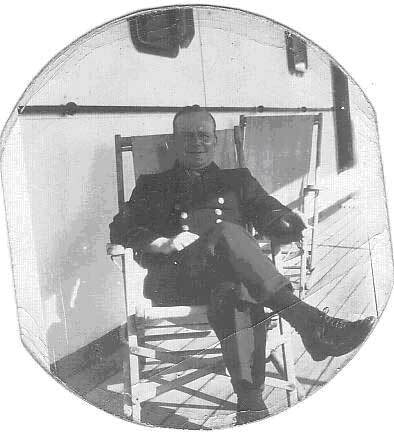 He was 42 years old when he lost his life on the troopship SS Nerissa. You could say that it was ironic that he lost his life on a troopship as he began his career on a troopship in 1915 taking troops to Sulva Bay and thence to Gallipoli. 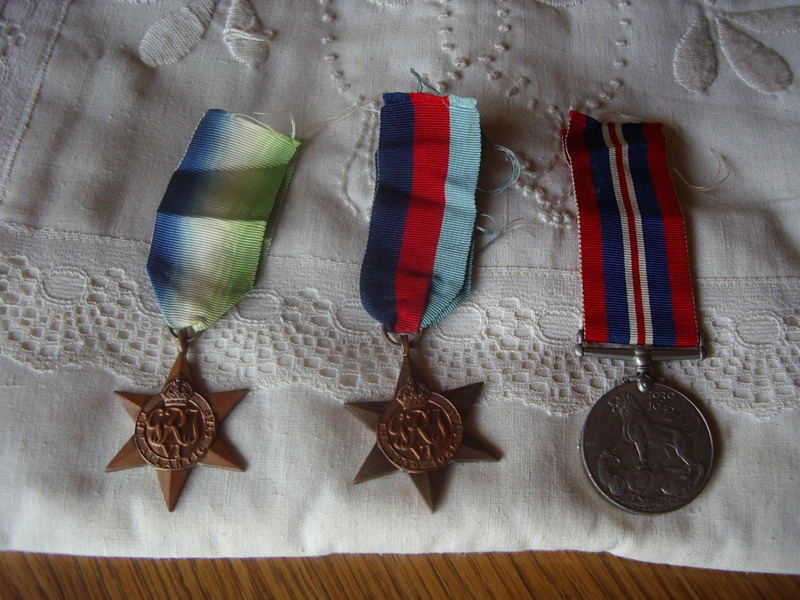 Our dad was awarded two Merchant Navy medals - the Atlantic Star, with blue, white and green ribbon, and the 1939-1945 Star, with red, white and blue ribbon. He is remembered on the Merchant Navy Memorial at Tower Hill in London. Born in Looe, Cornwall in 1898, educated at Liskeard Secondary, he came from an old seafaring family. His maternal grandfather, Philip Bartlett, was Master of sailing ships trading between Plymouth and Newfoundland. My mother was born in St. Ives. They met when he was in the Sea Scouts and stationed in St. Ives. They were very young then but remained friends and married in 1926, after quite a long engagement. He was away at sea so much in those days. My mother died in South Africa aged 86 and we brought her ashes back to England to bury them in St. Ives. Mum, my younger sister Jean, and I lived in St. Ives, Cornwall. Having no close relatives there she took us to South Africa after the war, where her sister lived. Thus our future was shaped from there. Aunt Catherine, my dad's sister, would have been delighted with the Nerissa website. She held on to the belief that her younger brother might have been picked up by the U-boat. She was 9 years his senior and adored him. 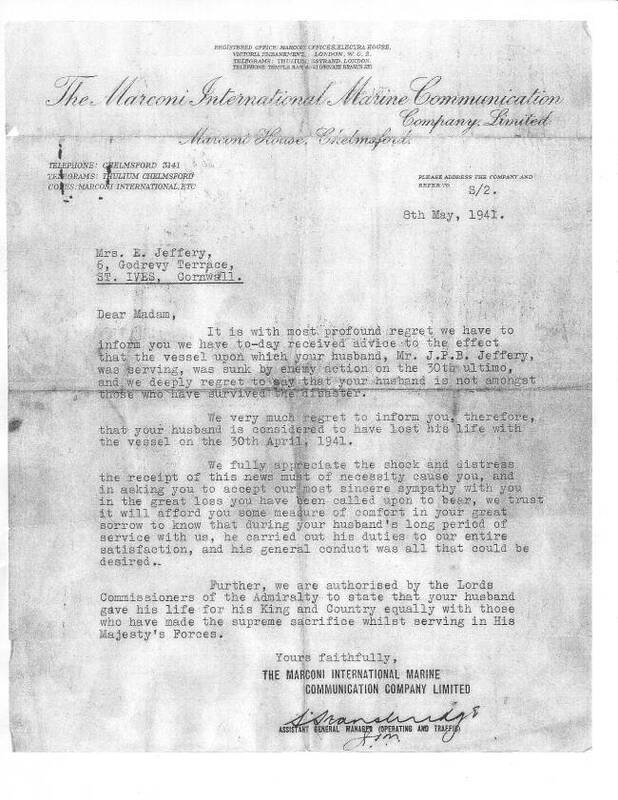 The attached letters from Furness Withy & Co. Ltd. and The Marconi International Marine Communication Co. Ltd. received by my dad's sister and my mother in May, 1941 tell the tragic news of my father's death. Remembered with great pride by his daughters, Phyllis and Jean. "Atlantic Star 1939-45" - "1939-45 Star" - "War Medal 1939-1945". Click photograph to view a larger version.